Tell me a little bit about your background in general, as well as your relationship to your identity as an Asian American? I was five years old when my family first came to Massachusetts as refugees from the violent Communist regime in Vietnam. My father fought side-by-side with U.S. soldiers against the North Vietnamese army and survived eight years in a re-education camp. He struggled to support our family in Vietnam as a result of blacklisting by the communist government. We also lived in fear that our family would be targeted by the government simply because my father stood up for his values – for democracy and freedom. Then, in the early 90’s, we got news that we qualified to come to the U.S. under the Humanitarian Operation executive order. We settled in Lawrence, MA, and we’ve been in the Merrimack Valley ever since. My family came to this country with $100.00 to our name, and my parents were determined to work hard to make a better life for themselves and their children. They struggled to make ends meet in the face of discrimination and harassment at jobs where they had little to no job security or protection. They have had to fight for everything they have and they taught us children to fight for what we believe in. This experience informs why I built my career in advocacy. 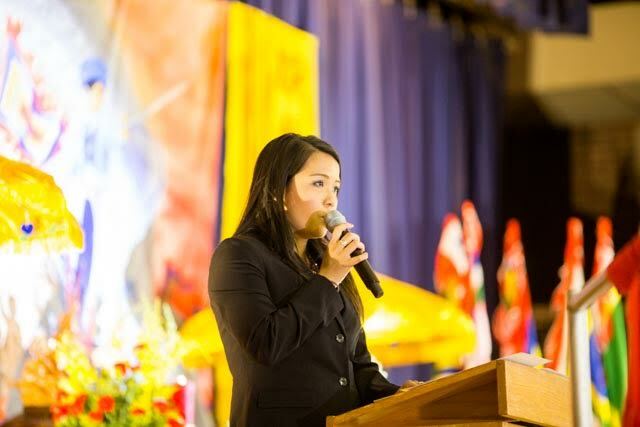 In my role as a legal aid attorney for Greater Boston Legal Services, I have provided free legal assistance to hundreds of vulnerable clients, many of whom are from the AAPI community. I have worked with victims of domestic violence to secure protections from abusers; I have advocated for immigrants whose status leaves them vulnerable to exploitation and cruelty; and I have helped employees stand up to bosses who tried to steal their wages and take advantage of them. I have worked within the AAPI community for many years, and I intend to continue to do so. How did you become inspired to seek elected office? I have been a legal aid attorney my entire legal career and in addition to providing direct legal representation, I have also engaged in legislative advocacy to push for bills that would improve the quality of life for my clients. The current state representative has opposed every single bill that I’ve worked on and has refused to meet with me. I learned that the incumbent is anti-immigrant, anti-choice, anti-union, anti-school, anti-poor, and anti-LGBTQ. He scores dead last with environmental groups, yet he scores 93% with the NRA. I cannot stand more polar opposite of him on these issues, and I don’t believe that he represents me and many others in the district. After the Trump’s election and participating in the Women’s March, I was further encouraged to consider running for office, and so I made the decision to run against this far right Republican incumbent. What three issues do you think are most important to your constituents, and what step(s) do you plan to take to address them if elected? Workers’ rights: We all deserve the opportunity to earn a living wage from our work; we deserve to have adequate job protections; we deserve safe work environments free from harassment and other unfair treatment; and we all deserve to know that we are being honestly compensated for our labor and that employers aren’t stealing our wages and exploiting our trust. I will work on and support legislation that seeks to protect workers’ right, such as increase in minimum wage, paid family medical leave, measures to decrease harassment at work, protect bargaining rights, etc. Healthy and safe families: I am committed to working toward making health care more affordable and accessible to all, tackling the opioid crisis, and supporting common sense gun safety laws to ensure the safety of all residents. I am particularly interested in increasing funding for mental health support in schools, especially for children suffering from trauma. Increase local aid: As a product of public schools, I know first-hand how crucial a well-funded school district is to the health and vitality of our communities, and I will work toward increasing funding for our public schools. I also want to invest sensibly in roads, bridges, and other infrastructure; find opportunities for working families, seniors, veterans, and future generations to join and stay in our communities; and develop strategies to preserve the ecological infrastructure and the beauty of our woodlands and waterways. What impact has the current political climate had on you as an Asian American progressive seeking elected office? Trump’s election prompted me to become more politically involved, both locally and at the state level, which ultimately led to my decision to seek elected office. 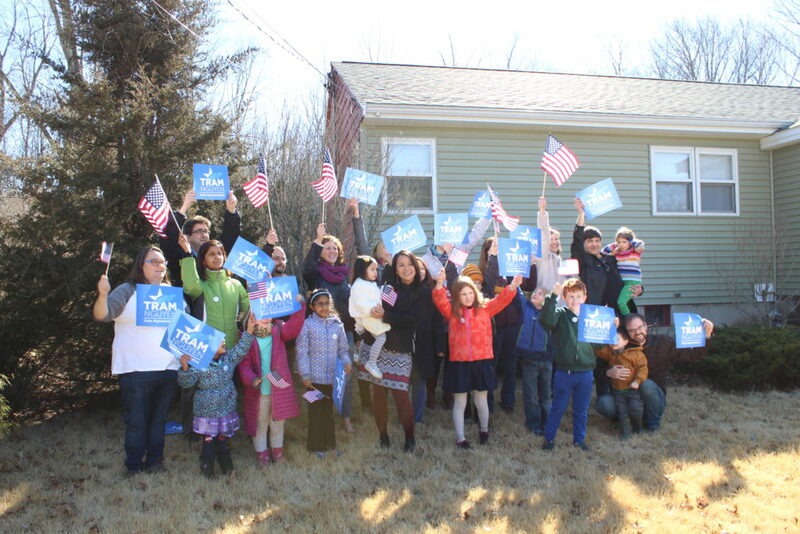 Since I started my campaign, I have been overwhelmed by the level of support both within and outside the district. Like Trump, the incumbent pushes divisive social agenda at the expense of the political and economic needs of the people, and the people in the district and throughout the Commonwealth are now more aware of that than ever. As a woman, an immigrant, and a legal aid attorney, I am the antithesis of the incumbent. People recognize that I would bring a new voice and fresh perspective to the state house as an Asian American progressive, and they are giving their full support, which is so encouraging. 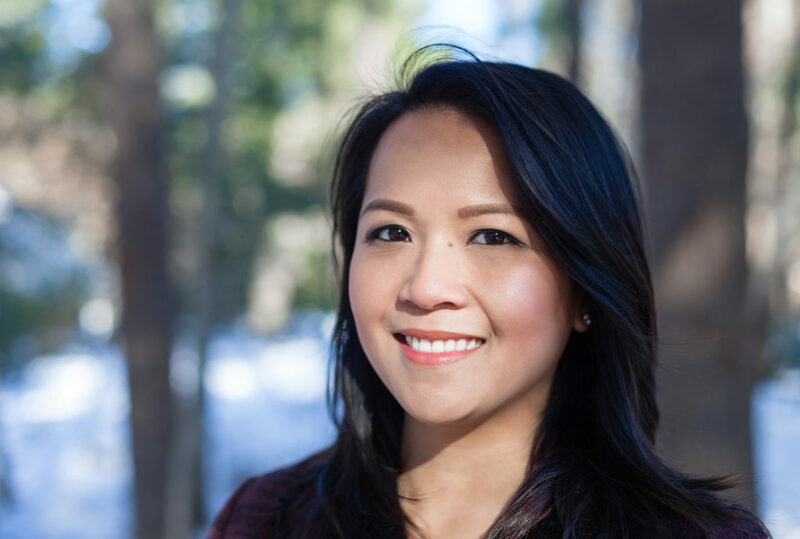 Furthermore, I am the very first Vietnamese American woman to run for public office in the history of the Commonwealth, and people want to get involved to help me make history. What advice would you have for other young Asian Americans currently considering a career in politics and/or public service? For too long, people from communities of color have been told that we aren’t supposed to make the kinds of changes we want to make happen. And sometimes it’s hard to imagine a different story when the only stories you see and hear are the stories of people who don’t look like you, talk like you, or resemble you in any way. I am running for public office to change up the story. I’m running because I want to be an example to other women and people of color who have assumed that they don’t have the power to make the kinds of changes they know our culture and society need. I’m running because I want you to see people like me doing brave things and striving to improve the world, and because I hope that you will find a way to write that into your own stories, whatever they might look like. I want you to think about how you can make an impact. Figure out how to make others’ stories better, because at the end of the day, our stories are what we take with us and what we leave behind. Don’t be afraid to run for office or commit to public service, because these paths are great ways for you to help amplify the voices of the AAPI community and tell our American stories. Where can readers go to learn more about you and your campaign? How can readers get involved to help your campaign? Are there any upcoming events you’d like for us to know about? Please join us to volunteer, we are launching and need your help and would love your involvement. Following this link to sign up to be on our email list and like us on social media to keep up to date with what we’re doing. Run for Something recruits and supports talented, passionate young people who advocate for progressive values now and for the next 30 years, with the ultimate goal of building a progressive bench. Since its launch on inauguration day 2017, they’ve recruited 16,000 young people to run for office. Register to vote online now.